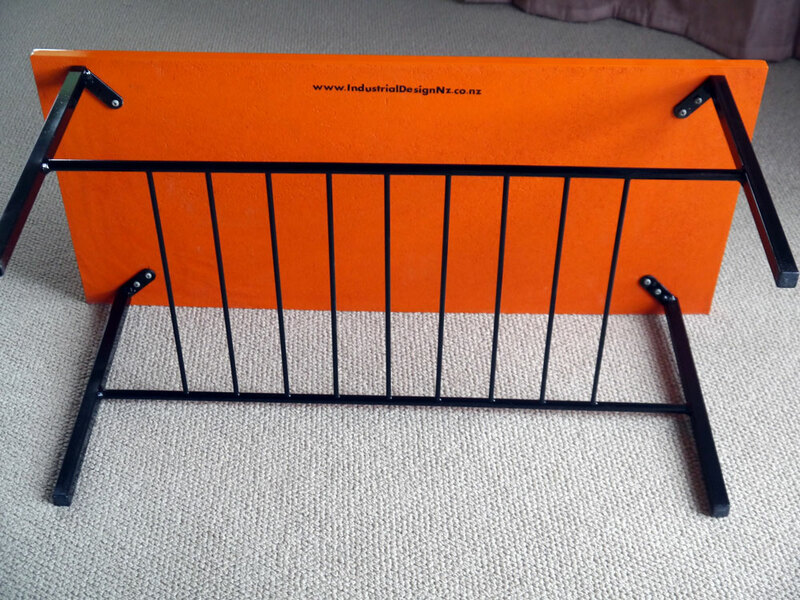 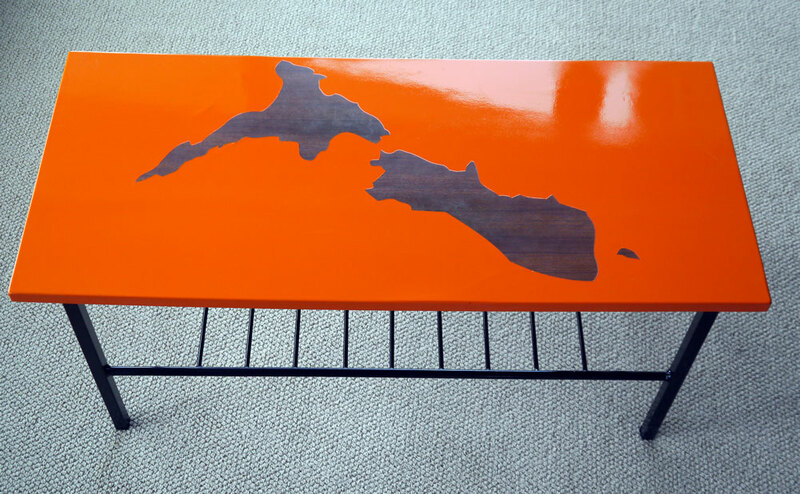 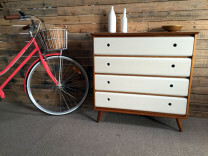 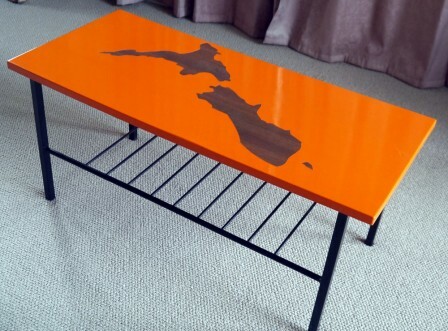 Brilliant orange retro coffee table, upcycled and repurposed by Industrial Design NZ. 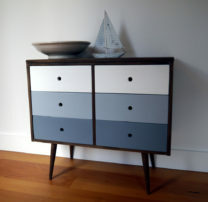 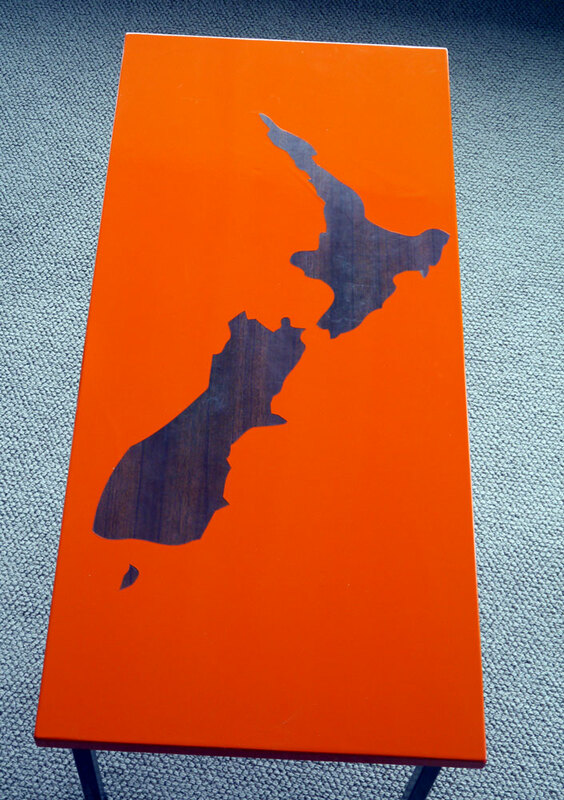 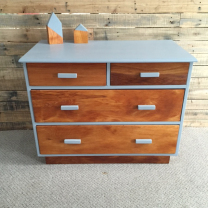 Compleatey refurbished and painted with a two pot hard durable orange paint (same as cars are painted with) with map of New Zealand inlaid into the formica wood grain of the table. Ready for round two of its life.